This month, Arizona left some 955 poor families—and their 1,660 children—with a little less money to put food on the table. In a striking example of how badly misplaced Gov. Ducey’s and Legislative Republican’s priorities are, the cuts to the Temporary Assistance for Needy Families program they passed last year became effective on the same day as $138 million in new business tax cuts. 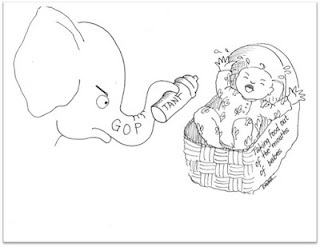 In 2015, when Legislative Republicans proposed reducing TANF benefits from a lifetime limit of 24 months down to 12 months, they argued that the state simply did not have enough money to maintain the program. That argument made little sense at the time, when the cut was expected to save $9 million, and it makes even less sense now that it looks like the cut will actually only save $4 million; especially considering that the very same Republicans who made that argument passed more than $100 million in tax cuts that year, and more since then. In truth, the budget did not force the Republicans’ hands. They simply decided to finance their priorities (wealthy special interests) on the backs of Arizona’s most vulnerable families, which get an average of less than $300 per month in TANF benefits. As a columnist for the Arizona Republic recently wrote, “What the Legislature actually is telling such families – moms, dads and children – is: ‘We don’t care about you.’” It’s not easy to see how the message could be anything else. 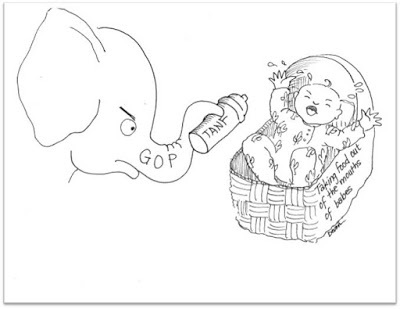 Are Legislative Republicans and Gov. Ducey really not willing to spend $4 million, out of the state’s $9 billion budget, to help a few poor families feed their children for another 12 months? The small amount of money a family in need receives from TANF benefits can sometimes keep them out of crisis and help prevent more children from entering the DCS system—a system that has been overburdened and plagued by mismanagement. Just last week, the agency was held in contempt of court over its failure to provide adequate services. It’s past time for the Legislature to step up and really help the most vulnerable Arizonans, not cast them aside. How do your priorities line up with that?